Firstly the 10 x 8 Tanalised Apex shed is constructed using pressure treated (Tanalith-E) timber to increase the service life of the structure. 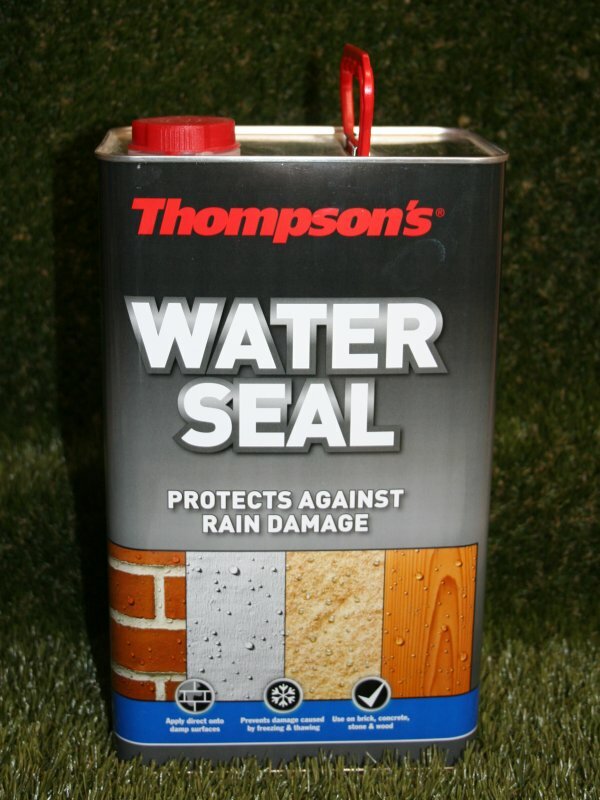 The walls are made from ex-19mm x 125mm shiplap cladding which has a generous 17mm lap to help minimise water ingress during prolonged dry weather spells. Each section is framed with ex-38mm x 50mm timber, which when assembled produces a robust shed. The door height is approx. 1.75m (5’ 8”), the external eaves height is approx. 1.96m (6ft 4 inch). Ground level to the top of the Apex is approximately 2.13 metres (7’) This height calculation includes the width/height of 75mm posts to sit the shed on. Internal heights are 1.77m and 1.91metres. 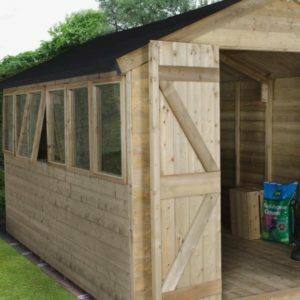 Both the shed floor and shed roof are made using tanalised ex-22mm x 125mm tongue & grooved timber boards (finish sizes 18mm x 110mm) with a 9mm tongue. 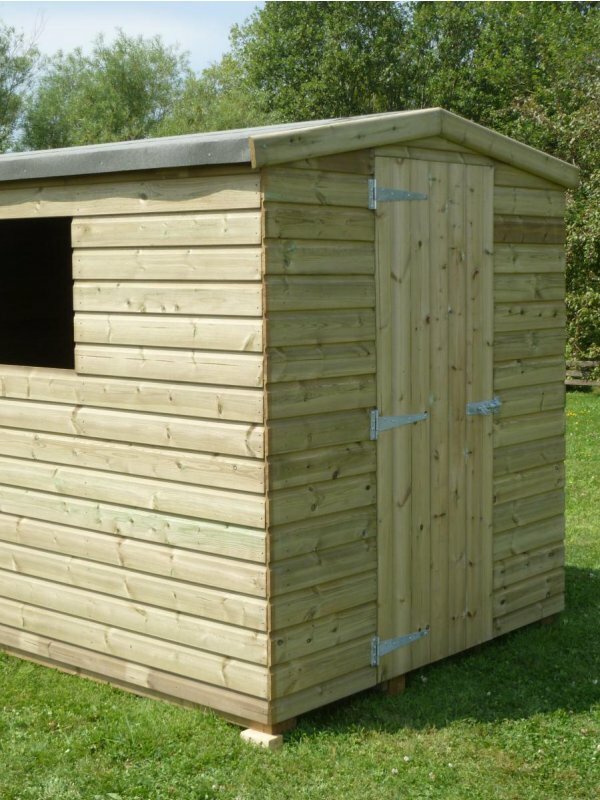 It is very unusual to find any shed using this quality of material, especially at this price. Finally a quantity of 20Kg roofing felt is included for the customer to finish the roof after assembly. We carry the following sizes of Apex sheds for next day delivery from Ipplepen, but if stocks are low then lead time is approx. 14-21 days. 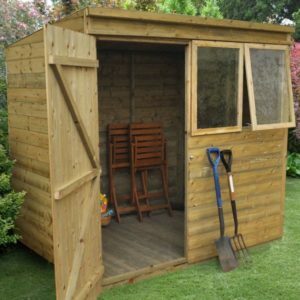 Alternatively we have a range of Rowlinsons Sheds, timber Workshops and Summerhouses available with free UK Mainland delivery. 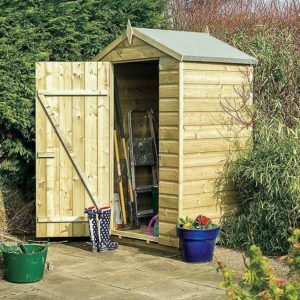 Please note the Instructions for the 10’ x 8’ shed are the same as the 8’ x 6’ but please ensure you increase the size of the base accordingly. 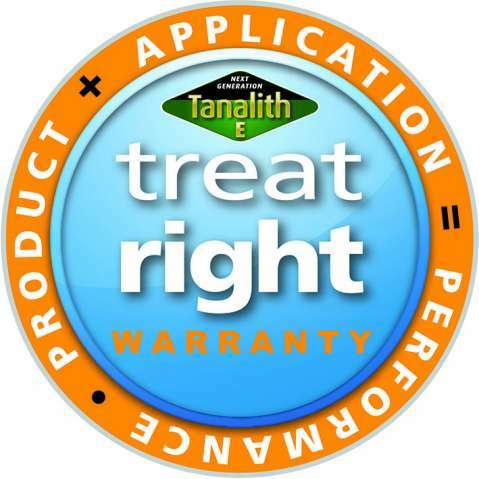 Fixing screws are not supplied with our shed guttering kits. 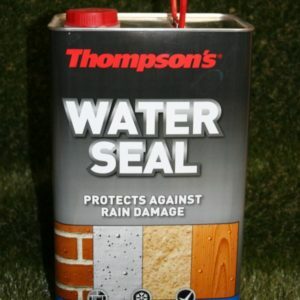 FloPlast recommend using 25mm x 5mm screws, check that screw fixings will not protrude through to the shed interior.